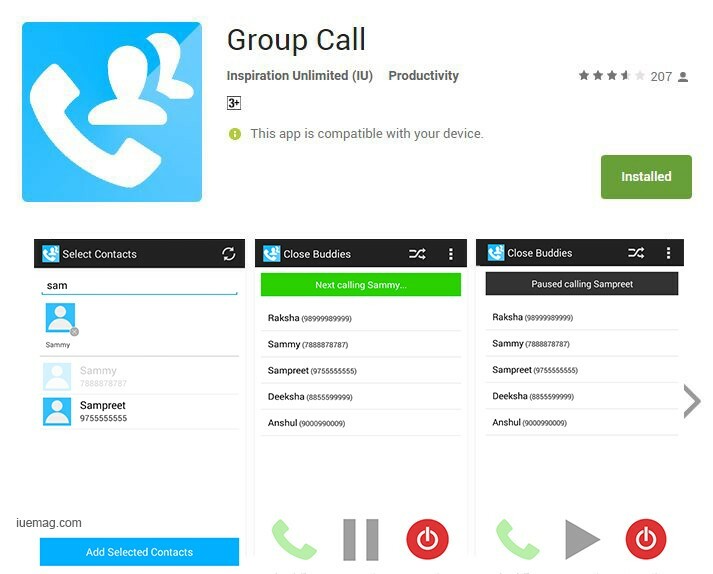 Group Call App Used For Calling A List Of People, Crosses 50,000 Downloads Mark on PLAYSTORE! Apps are meant to make life better & this certainly is one of them! The Group Call makes your life easier each time you have a large list to call! Mark the words 'EACH TIME'. A terrific solution to solving the issue of having to call a large list of people has been produced in the name of GROUP CALL meaning the requirement to call a group/list of people. The app is a result of the need of the founder to make calls to a group/list of people. In the contacts list of phone a list of people whom you segregate into a separate list is called a group and that’s where this app derives its name of GROUP CALL - the need to make calls to everyone in the group (individually). While the first look tells you that this would be more handy and useful for sales people, a deeper look into how it works tells you that everyone needs it. The next time you have a birthday party, event that you organise, wedding, function at home or outing with friends/colleagues and you need to make a call to large list either once or repeatedly you will realise that a lot of time is lost completing a call, going back to the contacts searching the next number and then calling up. While each time the break between calls is also a possibility of invitation to a larger distraction which becomes a road-block to even finishing the calls. This app makes sure you stick to the list and don’t have to keep going back to the contacts folder and search for contacts to call again. It saves time, mental energy, helps you focus better on calls and streamlines your work to help you focus on more things. It’s in a way your perfect assistant for calling a group of people. The App is listed on PLAYSTORE currently. The founder says that the iOS version shall be out in next few months (any moment). The app is currently at 50000+ downloads stage within 2 years of existence. The various features available are 'Pause', 'Resume' and 'Stop'. Besides them, you can shuffle the list, call from a contact in between and add new contacts in between too. The contacts loading feature and creating of lists is truly a very convenient procedure. The UI is extremely user friendly and focused on the purpose the app is meant for besides being a true example of simplicity and eloquence. The GROUP CALL team claims that group call is useful for Birthday parties, Event Invites, Marriage invitations, Daily calls to your teams, Follow up calls to clients, Client relation calls, Monthly call to all your friends, or Just anything that concerns calling a group. They also add that “all you have to do is make a list and never bother yourself again when it comes to calling them in a sequence”. In short, One button & you just need to focus on TALKING! Keep the MAIN THING the MAIN THING - YOU TALK & the app dials for you. 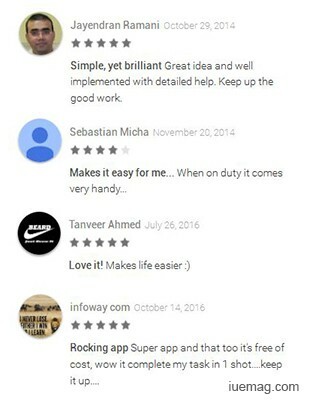 The reviews have been largely positive with the exception of few people who confuse it to be an app for group calling instead of calls to a group, who share negative feedback. The app is quite small in size and fits into your phone without disturbing anything else as such. Do share your feedback in comments here! Any facts, figures or references stated here are made by the author & don't reflect the endorsement of iU at all times unless otherwise drafted by official staff at iU. This article was first published here on 14th November 2016. 8 Powerful Guidelines to Study Better, Focus Better, Concentrate Better & Live Better!